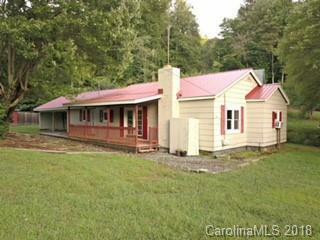 Awesome location across from Tuckasegee River Access and close to shopping, schools, hospital, rafting, fishing you name it! Lots of potential for this 2 Bedrooms, 2 Baths, plus bonus room some hardwood floors, gas log unit, new metal roof 2018, TWSA water, large level and fenced back yard, stream, 2 car carport, easy access and lots of room to expand. Priced to sell!